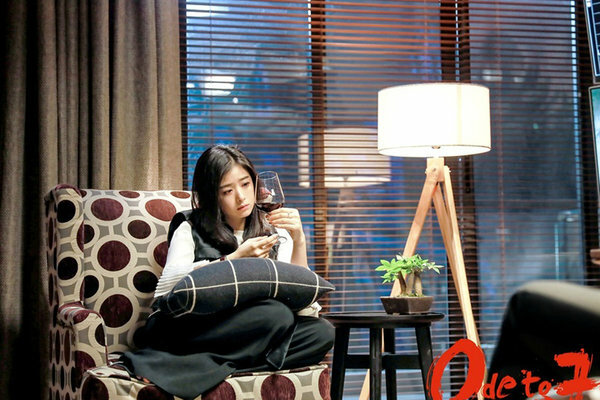 Ode to Joy series tells of a friendship among five young women who live on the same floor in an apartment building also called "Ode to Joy" in East China's Shanghai municipality. The five main characters have different backgrounds including their age, social status, personality and careers among other differences. Their relationships were initially rocky, in the earlier episodes, but eventually they became good neighbors and friends. Despite the main focus being only on their daily lives, Ode to Joy turns out to be more attractive to domestic audience than expected thanks to its reality and familiarity. Ode to Joy 2 is expected to hit the small screen on May 11. That girl is very hot. I haven't seen this soap opera, but I am convinced that the sequel is not as good as the original due to many reasons known to us all. HailChina! : That girl is very hot. Which girl is very hot? the fisrt one or the second one? huangchangjiang: Which girl is very hot? the fisrt one or the second one? I didn't notice the second one. Both. The second one looks hotter actually. Is this an all Asian people look the same thing? I noticed first girl from blog page highlight and commented. Not all Asians look the same. A lot of them are not hot at all. And sometimes a person can look very different depending on the photo/day. Part of the story is very close to our life .